Excursions in the Salzburger Land! Adventurous people have surely made the right choice when coming to the Gastein Valley. Especially if they reside in the aparthotel in Bad Hofgastein, located right next to the central Kurpark. Here you will find yourself at a “premium launch pad” for excursion destinations and sights of all kind - and these are also worth a look beyond the borders of the Gastein Valley. The Gastein Valley itself delights its visitors with numerous attractions. The Klammstein fort, for example, is an important part of the history of settlement in the Gastein Valley. A knight’s banquet should definitely be on your list. The show cave “Entrische Kirche” near Klammstein is one of the most important caves of the Naturpark Hohe Tauern, but also the Knappenwelt Angertal and the montane museum Altböckstein offer interesting insights into past times. It is also a lot of fun to watch the regional farmers bake bread, distil schnapps or make cheese, and the spectacular suspension bridge at the Stubnerkogel is a sightseeing highlight for the whole family. From the Gastein Valley you will also reach many excursion destinations in the Salzburger Land. Why not visit the spectacular giant ice cave in Werfen or the impressive Kitzlochklamm Taxenbach. A few kilometres further north you will reach Salzburg with its mighty fortress, Mozart’s birthplace or Hellbrunn castle with its magical water fountains. From Salzburg you can also go on relaxed excursions to the Salzburg lake region or go to Bad Ischl, the former imperial summer residence. 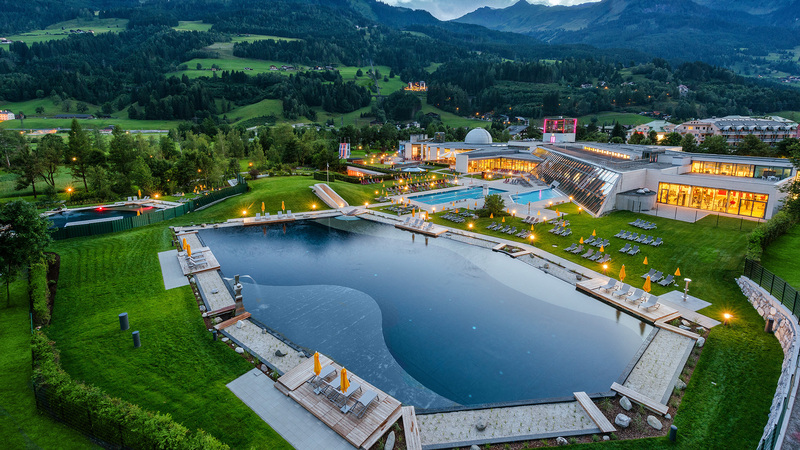 Whatever takes your fancy, whatever you want to see and experience: In the Salzburger Land, in the Gastein Valley and around Bad Hofgastein you will surely not get bored. Book your desired holiday home in our apartment hotel today and look forward to a stay full of highlights. Our reception team will be happy to assist you with tips and recommendations!